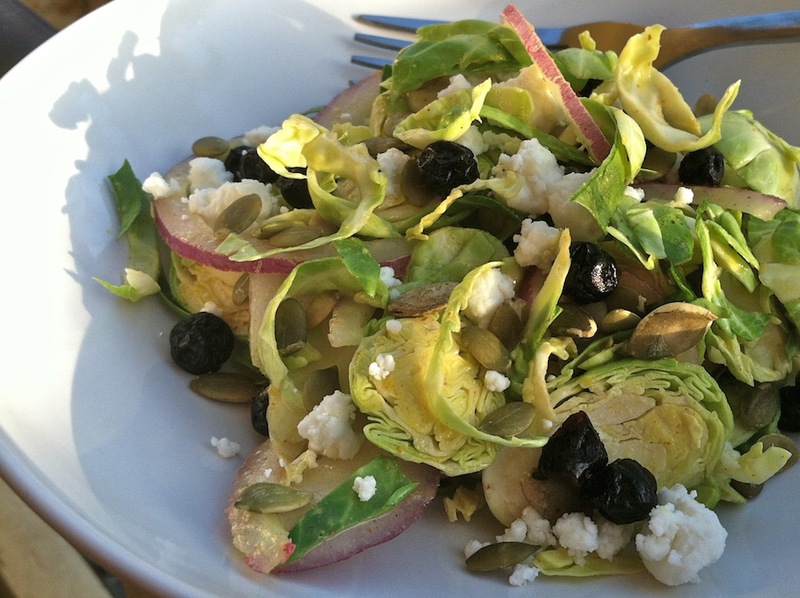 Raw Brussels Sprouts Salad | Keep It Up, David! 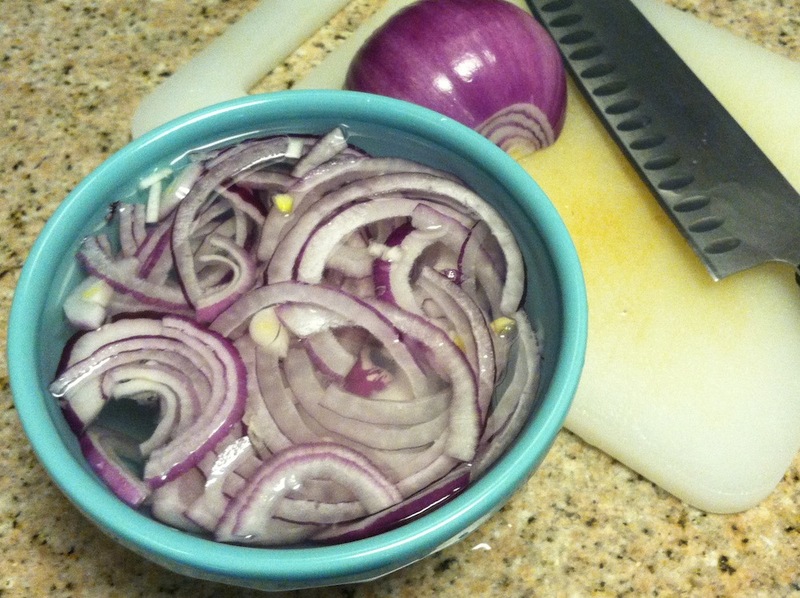 Here’s a tip that I just learned on the interwebs: If you soak sliced onions for 10 minutes in cold water before you use them, they’ll retain their flavor but lose their pungent aftertaste. It’s a great tip! Just be sure to drain them thoroughly before using them. 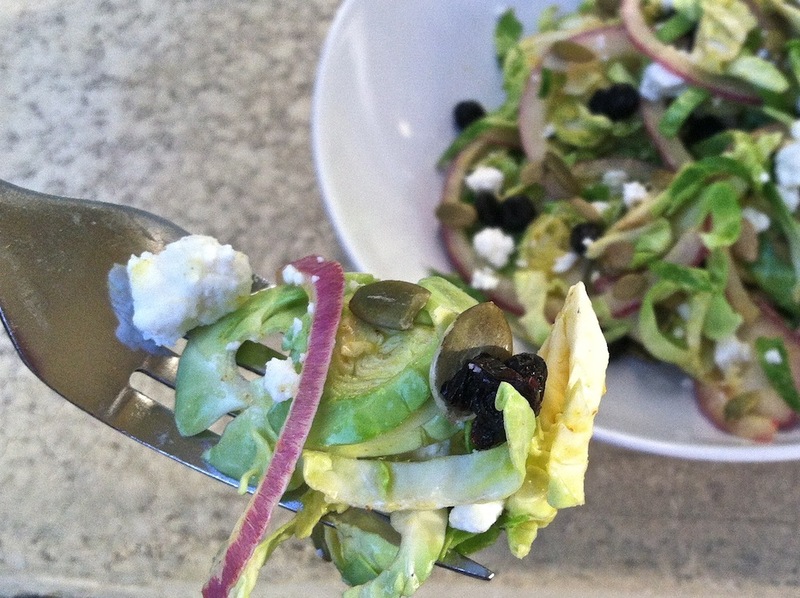 Assembling the salad is really easy: Combine the sprouts and onion in a bowl, and toss with the dressing. Once everything is coated, sprinkle the cheese, pepitas, and blueberries on top. Voila, it’s done! It’s crisp and tangy, with a little creaminess from the cheese and a little crunch from the pepitas. Plus, it’s really good for you! Brussels sprouts are high in Vitamin C, fiber, and sulforaphane, a chemical compound that may fight cancer. Studies have shown that cooking other sulforaphane-rich veggies, like broccoli, can reduce sulforaphane levels by as much as 90%, so raw veggie dishes like this one are even more healthy! 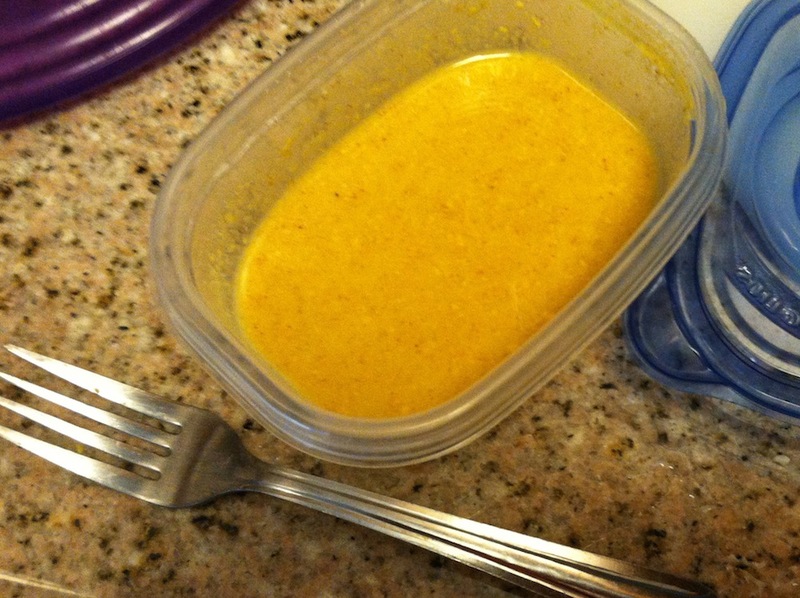 For more delicious healthy meal ideas, check out my RECIPES page! This entry was posted on Wednesday, March 12th, 2014 at 12:01 am and is filed under Uncategorized. You can follow any responses to this entry through the RSS 2.0 feed. You can leave a response, or trackback from your own site. Additionally, several studies have suggested that sulforaphane has anti-cancer (as you noted) AND anti-inflammatory properties! A recent study, published in the journal Arthritis and Rheumatism, found that sulforaphane blocks the enzymes that cause joint destruction, which could be a major break-thru for arthritis and degenerative joint sufferers. Hopefully, the pharmaceutical industry won’t lobby to classify cruciferous vegetables as drugs. Thanks for the additional info, Jeff! This salad looks awesome! I’ve got to try that onion tip. Thanks for sharing. Love the color of the fiesta ware bowl, too. (is it fiesta ware?). 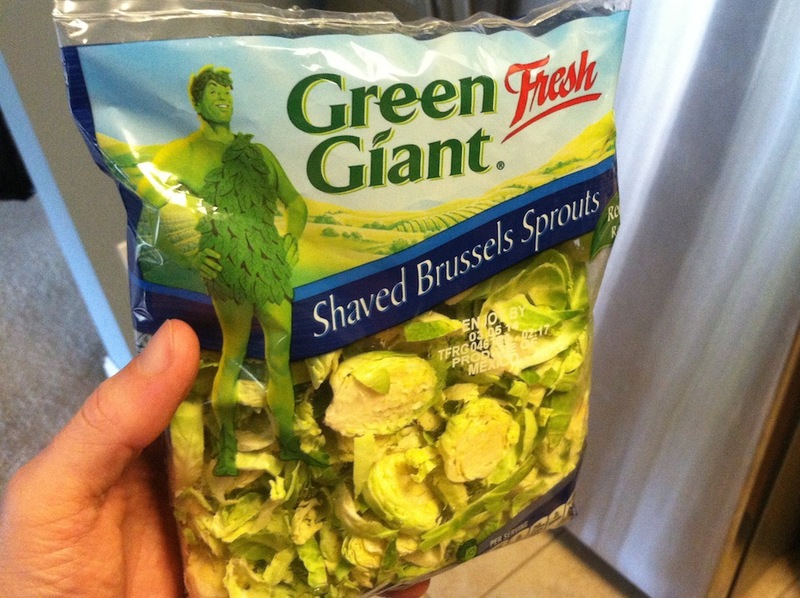 Anyhoo, I wouldn’t touch Brussels sprouts until I went Paleo-ish in weight maintenance. My tasted buds changed for the better. It’s not real Fiesta Ware, but thanks for the compliment! I like that bowl, too. 🙂 Glad you’ve grown to love brussels sprouts, because they rock!